A wet nose, warm fur to snuggle into on a cold night and unconditional love, these are just a few things that make us smile when we think about dogs. Our history of companionship with dogs goes back a long way from an indispensible part of a work team and protection to part of the family. Whatever role a dog may play in your family, more and more dogs are becoming trained as “support animals”. Support animals provide therapeutic benefit to an individual with a mental or psychiatric disability and can also provide emotional support. Research has demonstrated that petting a cat or dog helps your body release a relaxation hormone and cuts down on levels of a stress hormone, which can lower your blood pressure. This ability to help humans relax has made dogs a perfect companion for children and adults with autism that often find certain situations overwhelming to handle. Children with autism may especially benefit from interacting with dogs, which can provide unconditional, nonjudgmental love and companionship. 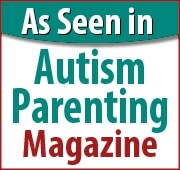 To learn more about autism check out our website at www.FocusFormulations.com. We provide the latest on autism treatment and advances and we would love to have you share your story with us. What could be better than a hug from your child? Unfortunately, for many parents of children with autism this may be a rare occurrence and often ends with screams and cries. Children that avoid physical touch often have Sensory Processing Disorder and may be either oversensitive or under-sensitive to physical contact. Over-sensitivity may lead to sensory overload, (crying and frustration) from the feeling of being touched. Children with under-sensitivity may feel unaffected by physical contact, becoming unresponsive. Sensory Processing Disorder may involve several senses not just touch. Difficulty processing sensory stimuli can also express itself with oral sensations, auditory, olfactory, visual senses along with proprioception. In either scenario, your child may choose to avoid physical contact. For children with over-sensitivity the sensation of touch may be too overwhelming to handle. Children with under-sensitivity simply don’t seem to care about the contact. First and foremost, do not take the avoidance personally. This behavior is not a reflection of your parenting skills, nor does it demonstrate whether or not your child loves you. This is an opportunity for you to discover how best to communicate with your child, everyone is different and it may be a process of trial and error. Exercise patience and let your child come to you. Take time before entering into your child’s personal space bending down to his/her level. Smile and see how your child responds. Sometimes a simple smile and a thumbs up is a simple start. We would love to hear your stories as they may serve as an encouragement to others. Please leave your comments below and your story may be featured in our newsletter!